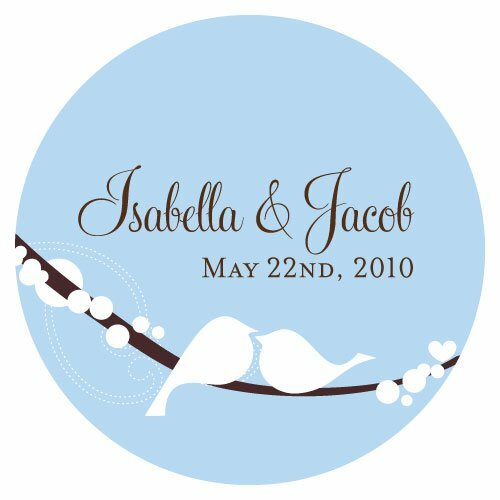 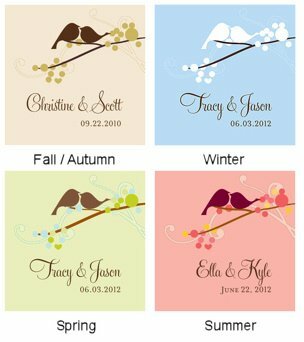 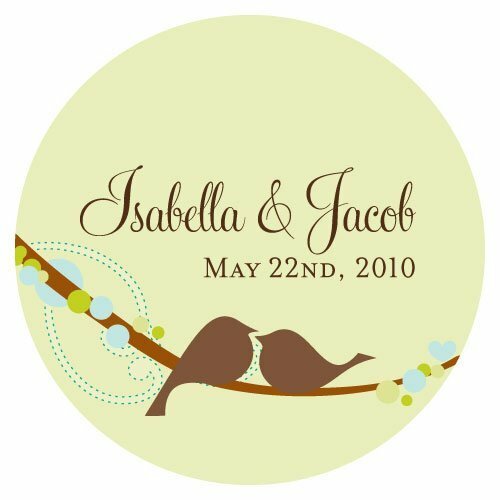 A pair of romantic love birds sits front and center on these round personalized stickers that are available in two sizes. 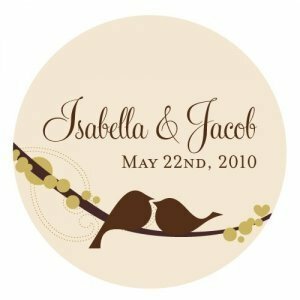 The perfect way to add a personal touch to your wedding favors or gift boxes. 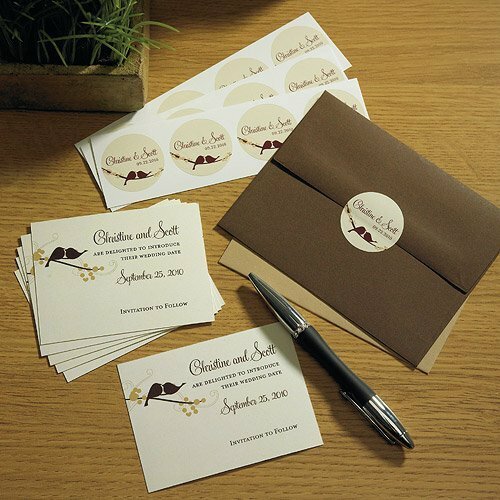 Be sure to check out the rest of our Love Birds stationery and accessories collections to create a cohesive look throughout your wedding. 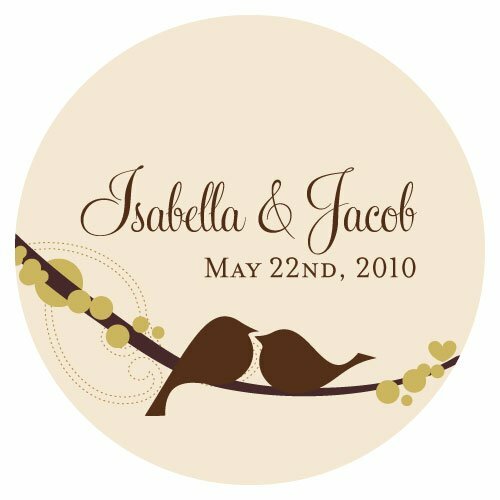 The minimum order is 36 stickers.Product dimensions: 1.5" diameter for small sticker and 2" diameter for the large sticker.NOTE: The minimum order is 36 stickers (per size).Sample Orders - If you would like to order a sample of this stationery collection, search for item X1032-19. 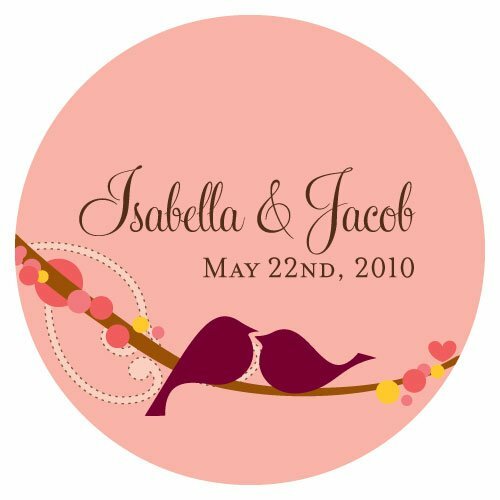 You will receive a sample invitation along with a list of items and colors available with this design.